Francis Spufford is a British writer with highly eccentric interests. In I May Be Some Time: Ice and the English Imagination, he produced a cultural history of ice, Eskimos, and polar exploration. His previous book, Backroom Boys: The Secret Return of the British Boffin, revisited the post-World War II pipe-smoking heroes of British science and engineering. 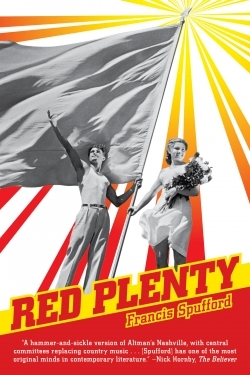 Now, as if daring readers to accompany him on yet another unexpected journey, Spufford offers Red Plenty, an unclassifiable book about the men and women behind the Soviet Union’s planned economy in the 1950s and 1960s. Populated by a rich bevy of characters, Red Plenty encompasses a fictional landscape from Leningrad to Sverdlovsk, an area as vast as the Soviet Union itself. In a series of loosely connected and cleverly rendered vignettes, we meet artists, scientists, economists, and laborers—some drawn from real life, others wholly fabricated—as they struggle to move their beleaguered country forward after the death of Stalin. It may not seem like the richest fodder for imaginative literature, but Spufford invests each episode with a sense of time and character that is truly remarkable, given that, by his own admission, his knowledge of Communist life during the so-called Thaw is limited at best. Spufford has once again confounded expectations, writing a book that blurs the line between history and fiction without apology or regret.